Nonny de la Peña, Kiya, 2015, VR video, color, sound, 8 minutes. IN 2015, filmmaker Chris Milk gave a TED talk where he dubbed virtual reality “the ultimate empathy machine.” The ideaand phrasestuck. Since then, his presentation has racked up nearly a million and a half views. Attend a tech panel, or browse the pages of the New York Times or Wired, and you will repeatedly encounter the claim of VR’s unique power to evoke an empathetic response in viewers. Slip on an Oculus Rift headset, and suddenly you are in a camp in Jordan, observing a family as they eat meager rations in a makeshift tent.Charities such as Amnesty International, the International Rescue Committee, and the Clinton Foundation have incorporated VR experiences like this into fund-raising efforts. 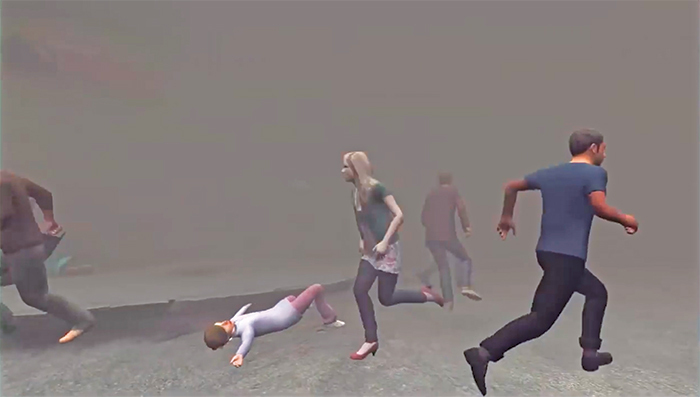 A persistent stream of films seeking to “raise awareness” dominates the VR landscape, rendering scenes from a Syrian refugee camp, a bombing in Aleppo, or the death of Trayvon Martin in 360 degrees. They promise to help you empathizequicklywith their various subjects. But from the beginning, VR’s champions have posited an odd conception of empathy. Milk opens his talk by professing his childhood love for extreme stuntman Evel Knievel, for whom he says he had “so much empathy”though it seems Milk actually means he enjoyed imagining that he was Knievel. In other words, Milk’s first example of empathy consists not of an encounter with another subject so much as the replacing of that other with himself. This dubious understanding of empathy only becomes more evident as Milk describes the projects he undertook on his self-described quest to “build the ultimate empathy machine.” Those endeavors culminated in The Treachery of Sanctuary, 2012, where viewers could stand before an interactive animation of their own silhouettes digitally accoutred with wings that responded to the movement of their arms. “So now I’ve got you inside of the frame,” Milk explains, “and I saw people having even more visceral emotional reactions to this work than the previous one.” Sure. But is it a triumph of empathy to demonstrate that we are merely interested in ourselves? Do we have empathy for our own reflection in the mirror? Remarkably, this was precisely the conception of empathy celebrated in this year’s ad campaign for New York’s Tribeca Film Festival, which boasted a number of VR works in its program. In the festival’s much-circulated promotional video, peopleespecially from minority demographics, e.g., an African American boy, a Muslim, a drag queenwalk the streets of New York while wearing mirrored boxes over their heads; passersby turning to look at the performers see their own faces reflected back. The clip concludes with the command that you SEE YOURSELF IN OTHERS. But what has it actually shown? A way to see ourselves instead of othersto replace someone else’s face with our own. A more apt image for this deep (and culturally symptomatic) misunderstanding of empathy can scarcely be imagined. In VR, your environment may seem to change, but your mind remains your own. Your will and command over your person, your freedom of control over the direction of your gazethese are what the medium protects and extends. Compared to other means of storytelling, it thus affords much less access to the inner lives of strangers. Only a profound, even dangerous misconception of empathy could produce the claim that VR is uniquely suited to fostering it. We are shown an ad in which a well-heeled woman in a business suit glimpses her own reflection where a homeless man’s face should be, and we are asked to interpret this as an empathetic brush with the inner life of the other. Literature’s central insightthat we are capable of understanding each otherhere mudslides into the platitude that we are all the same (at best), or that everyone is just like me (worse), or that each apparent other is merely a narcissistic projection in thin disguise (worst of all). And this makes empathy seem easy, instantas quick as remembering that we should care. Amid the treacle, we are encouraged to forget our differences, and in so doing forget that true empathy involves exactly the work it takes to understand across those very real differences. When we dispense with empathy’s cognitive exigencies, we are left only with its emotional vibrations. As filmmakers pursue the ultimate empathy machine, they measure their success only by needle spikes in our visceral reactivityand that has led VR down a strange path indeed. 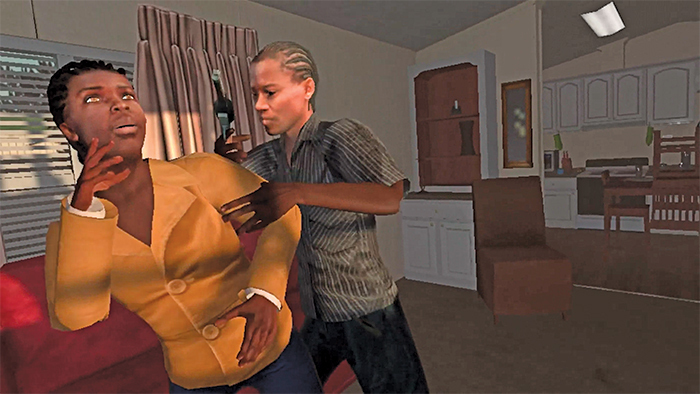 Try Kiya (2015), for example, an immersive VR work of docudrama that screened at the country’s most prestigious film festivals, and listen to the real audio of two women pleading with police to help them save their sister from an abusive ex-boyfriend, who has a gun on her, and then listen to the gunshots that killed her as her sisters scream and scream. This audioand I stress, this is the real audio, taken from two recorded 911 callsis accompanied by a crude digital animation of the events as they unfold. The film’s creator is Nonny de la Peña, often called the “godmother of VR.” She has marveled at VR’s “ability to generate intense empathy” to the New York Times. Describing the premiere of her first VR film (which features the actual audio recording of a crowd reacting as a man collapses into a coma), de la Peña said, “Many emerged from the goggles crying.” To Wired: “People were just bawling. They were crying.” It is extraordinary to wonder over the awesome force of VR, as if the real audio of someone screaming as her sister is murdered were insufficiently “powerful.”More remarkable still is our collective failure to distinguish between the mere intensity of emotional reaction as such and the degree of empathetic identification achieved. What is this “empathy,” so efficiently “generated”? It is little more than an index of emotional arousal, a reflexive concern for an endangered body. Real empathy is also the labor of comprehension: mind-work, not gut-work alone. The empathy that guarantees our mutuality, grounds our politics, and conditions our intimacies consists in the imaginative animation of someone else’s heart and mind, powered by everything you have learned with your own heart and mind about what it feels like to be a person. It is not “seeing yourself in others,” but using yourself to see others clearly. It takes both attention and imaginationcareful attention to a life that is different than yours, and the imagination to think your way toward it. And it takes time. We must be trained for it. Works of narrative art have been a key locus of that training since the first stories were told. Among other things, our hyped sense that VR can provide some sort of 5G empathy download is evidence of a profound and perilous failure of confidence in the work of storytelling. Nonny de la Peña, Project Syria, 2014, VR video, color, sound, 4 minutes. STORYTELLING, really, is the issue. One of the more surprising arguments made for VR’s moral utility is that it can help you empathize not only with the characters in scenes you witness, but with someone you inhabit, as you would a game avatar.Not a character you encounter, but one you try on, like a skin. In a second TED talk, Milk playfully hypothesizes that storytelling began with cavemen relaying the tale of a hunt. As a spirited animation of a caveman fit with VR headgear plays behind him, Milk triumphantly declares that now we don’t have to listen to the cavemanwe can be the caveman. However, the first-person point of view and the ability to control someone’s (notional) “body”for this is what an avatar affordsare hardly the tools of intimate access storytellers might hope for.After all, in video games, the creative challenge posed by a user and character sharing a body often requires game designers to leave underdeveloped the ostensible main character, precisely to accommodate the variety of user personalities. The irony is sharp when VR works whose stated mission is to “give voice” to certain populations start to resemble a medium famous for silent protagonists. But Milk is onto something when he describes the technology this way. VR can portray the hunt itself better than it can the caveman’s subjective account of it. The cavemanhis impressions, filtered through his specificity as a life and mindis well beyond the reach of the medium, for now. VR has thus far struggled to achieve the real feat of morally significant storytellingthat of bringing us close to someone else’s mind. Despite the way VR has been discussed (i.e., as though it were the extreme stuntman of mediums, a film that can jump a motorcycle over seven school buses), the technology is neither super-film nor super-novel. It has its own set of storytelling powers. It adds some to the arsenaland loses others. VR can depict a series of events with immersive realism and render settings with astounding vividness. The latter is one of the medium’s chief strengths: It can conjure an intense sense of location and of one’s body in that location. This is an awesome power, and some of the more interesting early passes at narrative VR have used setting imaginatively to lure viewers into engaging, alternative story-worlds. Take, for instance, the prologue of Eugene Chung and Jimmy Maidens’s Arden’s Wake (2017), which premiered at Tribeca this year, with its evocative portrayal of murky underwater depths and mysterious floating debris. Event and location are VR’s best tools for portraying a life, but not many experiences can be captured exclusively this way. The more completely a person’s circumstances shape his or her emotional reality, the more likely it is that VR can convey something of his or her experience. 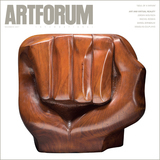 (Interestingly, VR’s most salient featuresits visceral, bodily presence; its immersive, participatory naturealign it closely with art historian Michael Fried’s concept of “theatricality,” which he famously set in contrast with true aesthetic experience, a transcendent state of “absorption.”) One wonders whether the insistence that VR create empathetic identification, combined with VR’s clumsiness at capturing the inner life of a specific person, is one reason that VR filmmakers have gravitated toward extreme, traumatic experiences, situations where our individuality plays the smallest role in how the event is received. For example, imagine a city street. Low light. Late afternoon, maybe. Pedestrians are crossing at the intersection ahead. A woman walks past you. What access does the sharing of this street corner afford you to her mind? Probably very little. Now imagine a bomb goes off. People are screaming, running. (These are the events of de la Peña’s 2014 VR piece Project Syria.) Now you and that woman are having a similar experience. Now you have some access to her inner life. But you are identifying not with the woman in particular but with the category“bombing victim”to which you both belong. The deep work of real empathy lies in the labor of coming to understand the other, of coming to see, think, and feel as the other sees, thinks, and feels. Our most powerful tool and training ground for this fundamental work will always be narrative, and for this reason only the narrative artswhether cinematic or textualcan cultivate and maintain our empathetic faculties. The work of the storyteller is one of precisely controlling (directing, guiding, choreographing) our attention. The artist directs our gaze, shows us what we should see, and by doing so, conspires with us to force us out of being “merely” ourselves. He or she brings certain features of a scene into relief, ignores others, and even determines the order and prominence of the elements of a given scene. It is the calculated directing of attention that mimics the movement of someone else’s minda mind whose movement is driven by emotional investments that are different from our own. We are, through our submission to the seeing-work of another, obliged to reckon with the point of view of someone else. In VR, however, I can turn my head (and in some cases even walk around) to examine any aspect of the scene I want. And that scene is rendered with uniform visibility in 360 degrees. All its elements are equally visible, regardless of the extent to which they bear on the narrative or matter to any particular character. And so we notice what we ourselves would notice, and feel as we ourselves would feelnot as someone else might. The sense of being in our own body only makes our own stakes, fears, and pleasures more urgent. All of which is to say, attention autonomythe interactive freedom to observe whatever we chooseis a hallmark of VR, one of its most charismatic features, but it shuts us out of other minds and strands us in our own.The neoliberal paradigm of individual choice here reaches its narratological climax: solipsism. VR ISN’T GOING TO GO AWAY. And we need to figure out what to do with it. But first we must dispense with a series of fundamental and telling misprisions. An empathy machine? No. Unless by “empathy” you mean a glandular twinge. By that definition, VR is an empathy extractor. But if that is what we mean by empathy, we are all in very serious trouble. Alyssa K. Loh is a writer based in New York.